Award winning Christian music artists perform at Disney’s Night of Joy and Universal’s Rock the Universe Friday, September 9 and Saturday, September 10. Award-winning Christian music artists will headline one of the most-decorated lineups in history. 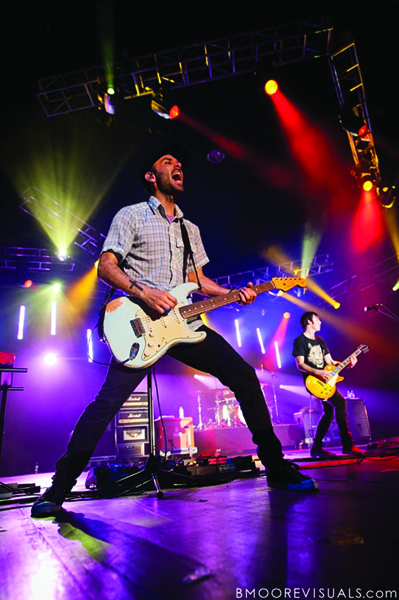 The annual contemporary Christian music festivals take place every September in Orlando. Walt Disney World’s Night of Joy and Universal Studios Rock The Universe attracts Christians from across the country to listen to diverse Christian artists ranging from rap to rock, hip-hop to pop, contemporary gospel to praise and worship. To the Kingdom, they will come. The Magic Kingdom, that is. Celebrating its 29-year history, Disney’s Night of Joy will take place on Friday and Saturday, September 9 and September 10 from 7:30 p.m.-1 a.m. with early entry taking place at 4 p.m. Church groups will fill the Magic Kingdom to listen to Christian music, enjoy the rides the and fellowship of other Christians. Night of Joy artists will perform on several stages around the Magic Kingdom theme park throughout the night. The all-star line up for Friday, September 9 will include the Newsboys, Jeremy Camp, Skillet and many more. Saturday, September 10 music artists will include MercyMe, TobyMac and Jars of Clay. One night advance tickets purchased before Friday September 9 are $51.95 plus tax with day of event tickets purchased $59.95 plus tax. Special rates for groups of more than 10 people are available, as well as special pricing for a two-night pass. For more information call 877-NITE-JOY or 877- 648-3569. Another fun-filled weekend praising God will take place at Universal Studios Rock the Universe as it celebrates its 12th year with its annual Christian rock festival. The event will take place on Friday, September 9 and Saturday, September 10 from 4 p.m. – 1 a.m.
Thousands of believers will gather for a weekend of soul-stirring music along with the action-packed attractions of the Universal Studios theme park. This year, attendees can experience the brand new Fan Zone and a nightly candle lighting ceremony featuring Casting Crowns. The musical line-up for Friday, September 9 will include Switchfoot, The David Crowder Band and Anberlin. The musical fan-fare on Saturday, September 10 will include Casting Crowns and Third Day. One night tickets are $59.99 plus tax. There are also special rates for groups of 10 people or more as well as special pricing for a two-night pass. For more information, visit www.rocktheuniverse.com or call 407-363-8000.